Voluminous texts have been penned to examine questions such as these, and yet within the 18 pages that lie ahead once the illustrations have been accounted for, is our esteemed professor at the lectern is planning to explore them all? No, she is going to tell a story, offer a fable within a fable, share an experience that she claims rendered these questions irrelevant for her. What plays out in this inventive and thoughtful allegorical tale is an exploration of the relationship between language and meaning, meaning and truth, truth and the stories we tell which, in turn, leads back to language. Van Niekerk casts herself in the role of the skeptic. At the outset she is busy with the final revisions on a novel that is almost complete. Around her, the rest of her life and responsibilities have been suspended while she survives on frozen dinners and ignores her untended house and garden. The last thing she is prepared to welcome at this moment is a 67-page letter from a former student who, she discovers, is writing from a hospital bed in Amsterdam. She had recommended him for a student fellowship in the city with the thought that the change of place might finally help this pale, anxious young man finish off his MA and move on. But she is certain without reading beyond the first few paragraphs that there is little hope for him and most certainly nothing in his massive missive for her. And so it goes. After reading a little further, she tucks his letter into a drawer and forgets about it until an unusual package arrives: a dummy of her new novel in which he has written notes and dates, along with 16 cassette tapes. Gradually she will be drawn into the story he wants – no, needs – to share. Cynically she reads about how her student, Kasper Olwagon, believes he has discovered, quite magically almost, an unusual homeless man who seems to have an uncanny ability to summon swans to himself. He watches the man for a while and ultimately takes this vagrant home. He longs to know how this apparent ‘swan whisperer’ calls to the magnificent birds, but for all of his efforts, Kasper is unable to encourage or help him to speak. In his long letter, Kasper anticipates his professor’s reaction, but he persists and over time, as she is drawn into the mystery and returns repeatedly to his letter for clues. She reads about his attempts to extract meaning from the murmurings he believes he heard, his desire to translate the language of swans. She hears in his efforts echoes of Afrikaans. Slowly she will begin to understand the meaning of the cryptic note that accompanied his parcel containing the book and tapes. The last words he wrote to her were: “Farewell to the worlds of will and representation!” As readers we are invited to follow the entwined journeys of student and teacher to that place where all of those questions posed at the beginning seem to be archaic, irrelevant. And once those rhetorical questions are left behind, one begins to appreciate the expanse of the impossible space contained in this small book. 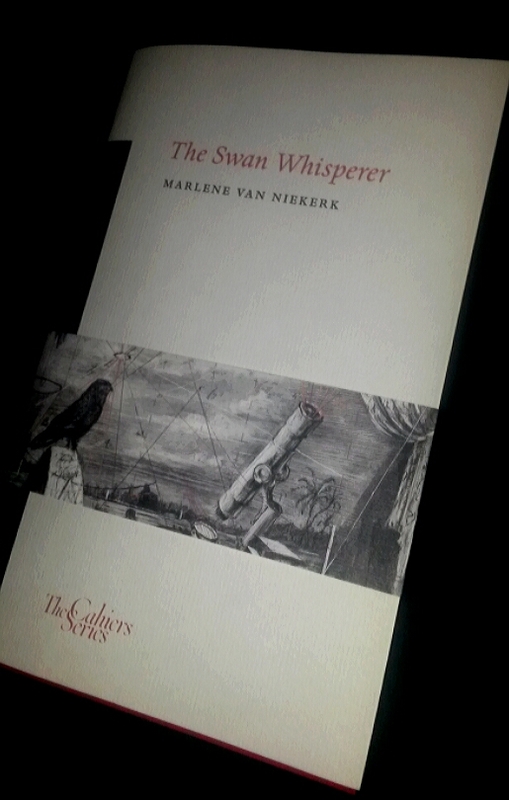 The Swan Whisperer is the latest addition to the “Cahier Series”, a joint project of the Center for Writers and Translators at the American University of Paris and Sylph Editions. 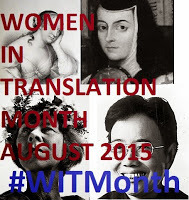 Eminent writers and translators are invited to offer their reflections on writing, on translating, and on the intersection between the two activities. Each volume is accompanied by illustrations. 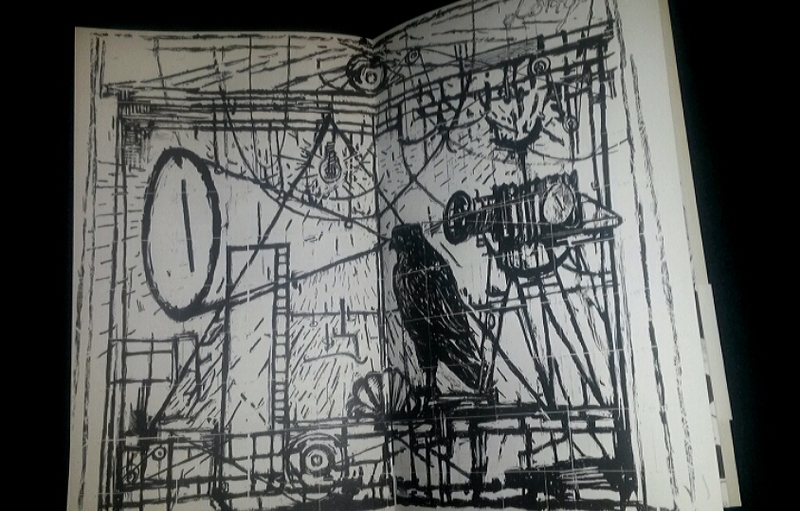 Here, the striking black and white drawings by William Kentridge act almost as a visual soundtrack. 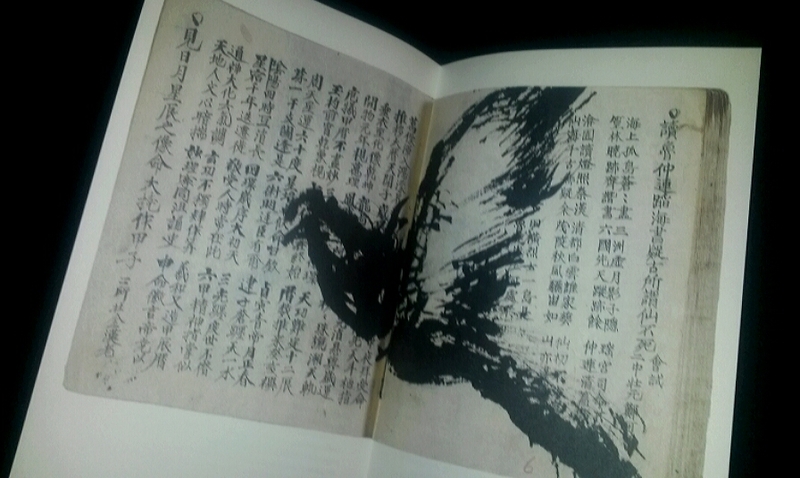 His work has a tendency to explode off the page. The images complement the story by exploring the relationship between artists, animals and language. The text is translated from the Afrikaans by Marius Swart and the author. I have to add that this particular volume held a special appeal for me. 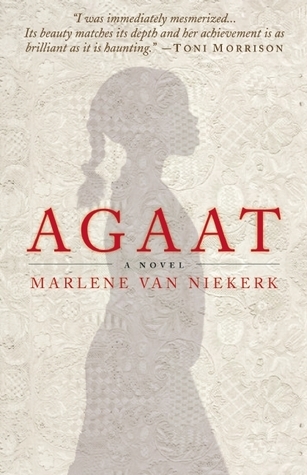 This spring I read, for the first time, Marlene van Niekerk’s magnificent novel Agaat. Not only is this a complex, deeply moving story; but the way that language is evoked and brought into play presented a challenge well met by the translator, Michiel Heyns. 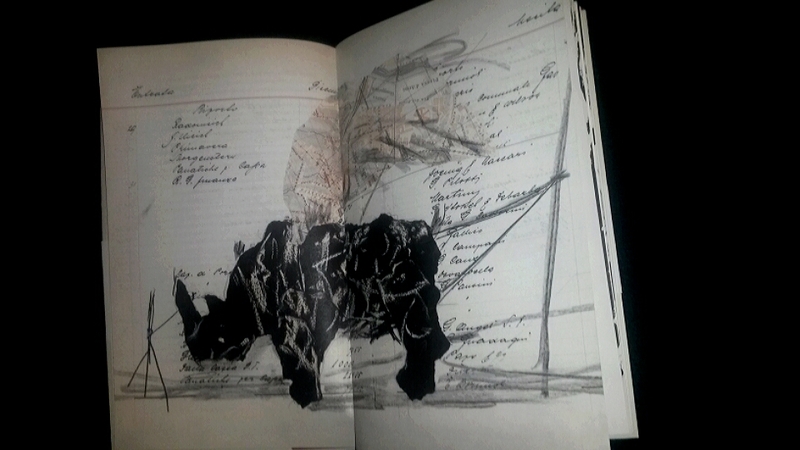 Not long after this encounter I made my first visit to South Africa and I had the singular pleasure of experiencing William Kentridge’s installation “The Refusal of Time” at the National Gallery in Cape Town. It was, I felt, like a command performance as no one else even ventured into the room beyond a quick glance at the door. Their loss and one of my fondest memories of my stay in the city. And now I have both artists together in this enchanting and thought provoking book. 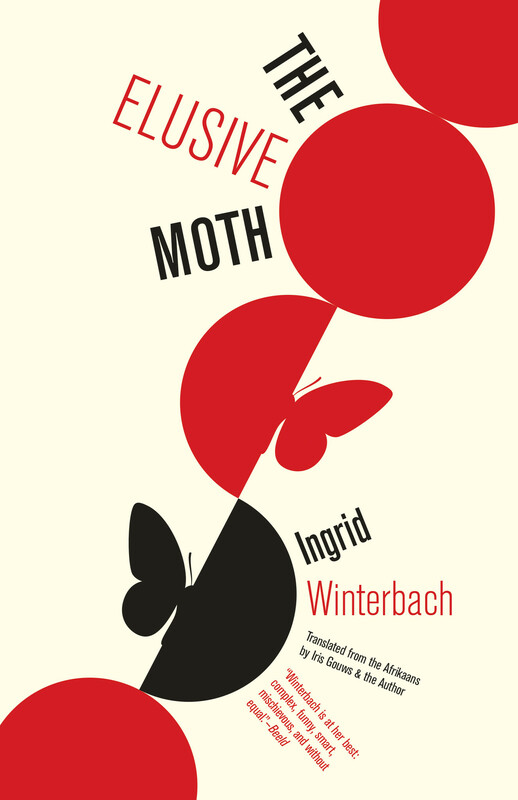 This is the curious dilemma of Karolina Ferreira, the heroine of The Elusive Moth by South African novelist Ingrid Winterbach. A similar searching ambiguity, complicated tension and hidden motivation runs through the cast of this slowly simmering, cinematic novel. Moving across a finely painted canvass in fits and starts, The Elusive Moth is an evocative exploration of memory, loss and anxiety that almost feels more like an art film, unfolding scenes that repeat motifs, imagery, fragmented conversations, all playing out against racial tensions that are building to a critical point in and around a small Free State town. Karolina is an entomologist who returns to the town where her family spent time when she was growing up. Ostensibly she is in pursuit of a rare species of moth that is capable of withstanding extreme conditions and this is a brutally harsh, drought ridden area. However, on her way to her destination she makes two unusual decisions. She stops and picks up a fellow traveller, Basil September, an unusual and enigmatic individual who is on his way to spend time working with his Argentinian mentor, an expert in herbal remedies and medicinal practices. He will become her daily companion out on the dry veld where he collects a vast array of living and non-living samples while she observes insect life. Karolina also, despite her scientific tendencies, stops into a roadside caravan to have her palm read. The fortune teller promises that she will find a man who will love her forever and a woman who will be a close and faithful friend, suggestions she both laughs at and hopes for. As she settles in to her research, Karolina seems to be increasingly restless. She spies lovers in the cemetery who fascinate her. She begins to frequent the snooker room of her hotel where the regulars, all male, are coarse, frequently lecherous – farmers, policemen, reservists. On Saturday nights she takes to the dance floor to lose herself in the arms of a man referred to throughout as “that Kolyn fellow”, theirs a connection based solely only on comparable tango skills. She tends to drink heavily, retreating when necessary to the Ladies Bar where she regularly encounters Pol, a singing lawyer, delightfully described throughout as amphibious, watery, and humid. He is a source of background information upon whom he she tends to rely as local political undertones begin to rise to the surface. Basil is also a helpful bellwether in this regard, as he possesses an uncanny ability to analyze the natures of others on sight and, as it turns out, foretell death. And then there is Jess, a red headed man who is singled out for her by Basil when they first see him. He is an economic analyst on a sabbatical to study, for himself, Buddhist philosophy, longing to learn to live in the moment and to overcome a persistent fear of death. It is clear that Karolina is at a tremendous loss as she tries to find a rhythm to life in this small town. Loss intermingled with longing. She has destroyed or divested herself of most of her possessions. She is plagued by a sense that she disappointed and was disappointed by her father, also an entomologist from who she inherited her early and long standing fascination with insects. He had died just hours before she reached his bedside. She had imagined herself capable of dedicating herself to her studies without the bother of emotional entanglements. Now, in her dreams she is haunted by strange visitations and lewd sexual fantasies involving not only past friends and lovers, but characters from her immediate environs. By day her observations and interactions with others are a mix of curiousity, compassion and clinical dissection. By night she struggles with a desire for physical comfort and a need for space. As personal tragedies and political tensions in the town move toward a dramatic eruption, Karolina will ultimately find the ability to surrender and move forward with her own life. For some readers, The Elusive Moth, may almost be too fragmented and repetitive. I read it slowly, over the last few days, luxuriating in the beauty of the imagery – the stark landscape, sensual descriptions of architecture and artwork, the enigmatic characters. Winterbach is also a painter, she writes in images and scenes. I simply did not want this book to end. I am currently recovering from a trauma that has left me with a mix of loss and anxiety that I recognized in Karolina, Jess, and Basil. I found it to be an exquisite and haunting experience. * Originally published in Afrikaans as Karolina Ferreira under the pseudonym Lettie Viljoen in 1993, the first English translation by Iris Gouws and the author was published in South Africa in 2005. The edition I read was published by Open Letter Books in 2014. I am not typically a fan of post-apocalyptic or dystopian fiction. No matter how intriguing the scenario, I find myself too frequently disappointed with the writing or the realization of the plot, or both. 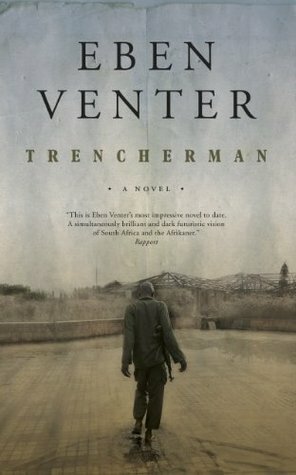 However, when a trusted friend enthusiastically recommended Trencherman, a harrowing vision of a devastated South Africa by Eben Venter, my interest was piqued in spite of any reservations I might have otherwise held and, quite frankly, I would never have stumbled across this book without her guidance. Even then I was unable to source a copy outside of South Africa so it was high on my wish list for my recent visit to the country. Little could I have appreciated how my experience of this novel would be heightened by the fact that I would read it while my time in the rolling landscape of the Eastern Cape province was still very fresh in my imagination. That is, it happens, where this story is set and, for all the horror it envisions, Trencherman is also very much an evocation to the beauty of the land. Taking his lead from Joseph Conrad’s The Heart of Darkness, Venter imagines his native country at an undefined point in the near future. Years of civil unrest and socio-political upheaval have rocked the nation which never really found its footing. Now a massive explosion in the southern part of the country has destroyed the infrastructure, left a lawless void in which bribes and syndicates are the order (or lack of order) of the day. Drought has wasted the land, AIDS has has devastated the population. Our protagonist, Marlouw (a contraction of his first and last names Martin and Louw) is bachelor living in Melbourne, Australia. Both he and his sister Heleen had rejected the family farm and homeland two decades earlier. Yet for all the financial success afforded by an uninspiring career selling high end cookware, Marlouw is a rather bitter, self-centred man, crippled with a clubfoot. He has never forgiven his parents for failing to secure the surgery that would have corrected the deformity and, despite his denial, the pain and embarrassment of his disability weigh heavily on him. When his sister calls him one night desperately entreating him to return to South Africa in search of her only son, his nephew Koert, who seems to have gone missing in that dark land, Marlouw feels no immediate obligation to assist. When he does finally agree, he tells himself that he is doing so for his own personal reasons. Without fully understanding his motivations he senses that something unfinished lies in the deep recesses of his memory. His journey to unravel his own baggage will nearly cost his sanity. As soon as he sets foot on South African soil, Marlouw realizes that he has arrived in a country that operates on cryptic and shifting terms. He adopts a heightened almost mystical approach to the task ahead, attempting to open himself to the “guides” that cross his path, but he rocks between selfish irritation and a deepening alienation as his quest proceeds. As a hero he is deeply flawed and deeply human. When he reaches the family farm, the place where he knows that his nephew has taken refuge and built up some manner of hideous power base, he is routinely thwarted in any attempts to make direct contact. The degree to which drought, disease and apparent apathy have wasted the land and the people he once knew is a shock but he is soon swept into their confined and miserable world. Upon his father’s death, he and his sister had passed the once proud farm on to the black families who had worked it for so many years. After twelve generations of Afrikaner ownership, the thirteenth generation had set their sights on foreign shores. But, as Marlouw will soon realize, he still carries a deep ancestral horror in his bones. He will not only have to confront whatever it is that his nephew Koert has come to represent, he will also have to come to terms with his own ghosts. This is not the first time an author has turned to the Heart of Darkness to explore the dark corners of humanity. The late Canadian author Timothy Findley placed his own Marlow and Kurtz in the halls of a modern psychiatric institution in the startling and disturbing Headhunters. Trencherman skillfully evokes the darkness of the journey Conrad imagined in the depth of another part of Africa and updates it, raising important issues along the way. Venter takes the opportunity to offer harsh indictments on the divisions within his native country, envisioning an outcome that has its roots in a recklessness and disregard for ultimate risks among the privileged classes. This is, of course, a common context of the dystopian novel, but one which is, for me, often too carefully removed or generalized in some abstract future. South Africa offers a more immediate tableau that Venter does not shirk from, perhaps afforded by the fact that he, like his hero, has been living in Australia for several decades. He aims his sights close to home, directly at his own heritage and at the decision he and many other South Africans have made to leave. Originally published in Afrikaans, the translation by Luke Stubbs is seamless. IsiXhosa passages are incorporated, and unlike some translations specifically aimed at a broader (i.e. US) English speaking market, common South African and Afrikaans expressions and terms are left in tact. A detailed glossary is included. There is a point where the dialogue degenerates into a bastardized English mixed with German that had me curious as to how these passages exist in the original, but that is only because the translation process itself, especially when it is striking and effective, is of particular interest to me. This topic is, I discovered, covered in an interview with the author here. The memory of a land once rich, the protagonist’s struggle to balance compassion with self preservation, and the truly horrific, yet oddly contemporary spectacle that awaits Marlouw when he finally confronts his nephew combine to create an engrossing read. The closer a reader’s connection to South Africa, the more intensely this book will resonate or push buttons, but even with distance it paints an unsettling portrait. Note: It is my understanding that Trencherman is scheduled to be released in the UK and Australia in 2016. However, my attempts to obtain Venter’s more recent novel Wolf, Wolf which was similarly released earlier this year leads me to believe that rights do not extend to North America. Even so, once there is wider for release for Trencherman outside of South Africa, it will be easier to obtain through UK distributors. This is a variation on the refrain that haunts Milla de Wet’s thoughts as she lies, paralyzed in the advanced stages of Lou Gehrig’s disease, completely dependent on her black servant turned caregiver Agaat to attend to her every need. 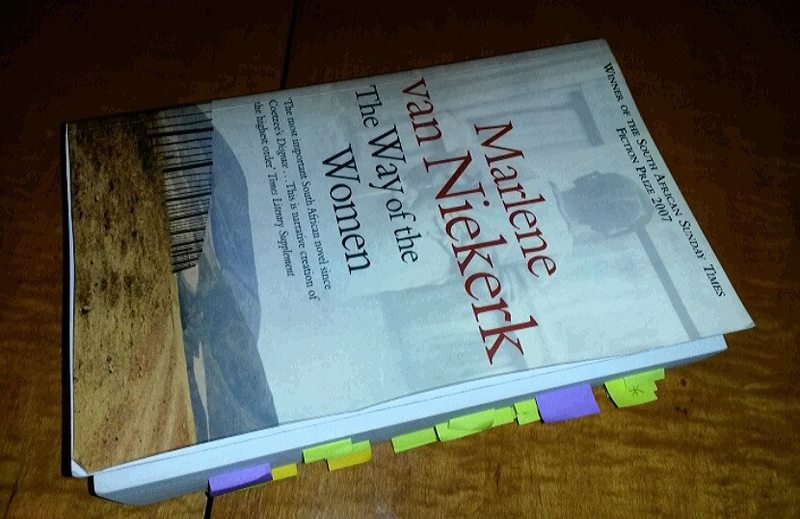 As Marlene van Niekerk’s magnificent novel begins, the two women are reduced to communicating through eye movements. Eventually even that will be impossible. But Milla’s mind is sharp and brittle in her confined waking hours and Agaat, stalwart and efficient to the end, knows her mistress well. Too well. From this claustrophobic perspective a remarkably expansive and complex novel of Apartheid South Africa unfolds. Van Niekerk, a nominee for the 2015 International Booker Prize, achieves this by deconstructing the traditional farm novel and weaving together a complex, poetic and devastatingly powerful epic. It is almost impossible to find the words to adequately capture the experience of reading Agaat (or The Way of the Women as it was published in the UK) without resorting to hyperbole. It is, quite simply, an inspiring, unforgettable novel. One that invites and rewards careful reading. Despite the rolling fields and pastures, river and mountains, this is an intensely focused novel. It is not easy to exist with Milla trapped inside her immobile body, or to listen as she bitterly dissects and dismantles her life – alternately self righteous and regretful – addressing herself in the second person. It is not comfortable to be swept into the stream of consciousness of her internal ramblings that mix obsession over her current state of being with the flotsam and jetsam of her farm woman’s domestic life. Or to discover, through her notebook journals, the details of Jakkie’s childhood and, eventually, Agaat’s early years in her home. By masterfully weaving together these four distinct narrative streams in each chapter, van Niekerk creates an enduring portrait of the complexities of power as they play out within families, between races, and in a country that is in an increasingly volatile political state. As the story is fleshed out, we meet Milla in 1948, as a young woman engaged to the dashing Jak de Wet, a trophy husband of sorts, handsome but ill suited to the farming life. Their marriage is increasingly volatile and strained, with both playing their own counterproductive roles out to the bitter end. For many years the couple is unsuccessful in their efforts to conceive. That is where Agaat comes in. The daughter of one of the labourers on her mother’s farm, she is born with a withered arm and, as a result, is subjected to horrific abuse in her early years. Milla imagines a heroic role for herself in rescuing the rejected child and bringing her into her home against the protests of her husband and the sidelong glances of her neighbours. For years Milla treats Agaat as a surrogate daughter – in so far as a segregated society will allow – teaching her to read and write, to explore and appreciate nature, and to master the fundamentals of animal husbandry. And then, suddenly, she discovers she is pregnant. Before the baby arrives, Agaat’s role is abruptly shifted. She is moved into an outside room and a maid’s uniform with strict expectations. But when little Jakkie arrives Agaat, barely more than a child herself, becomes the loving and compassionate caregiver that neither of his parents can ever manage to be. As the end is approaching Milla is forced to weigh and reevaluate her own life and the fate to which her actions have tethered Agaat. As often as she questions her actions, it is not clear that she can ever stand back from herself and see the big picture. She is, in the end, complicit in maintaining the Afrikaner social order that Jak so proudly believes in even if, in her own mind, she is a martyr. Agaat is at once the angel in the wings, servant and nanny; and the witch still bound to her “primitive” ancestry. She has been molded and created by Milla, but her thoughts remain hidden. Not until the closing pages of the novel is her side finally revealed in the dark and heartbreaking bedtime story she that she and Jakkie shared when he was small. Originally published in Afrikaans, the translation by Michiel Heyns is simply brilliant. Van Niekerk is first and foremost a poet and her language is filled with allusions to music, children’s rhymes, and literature. The scent of fennel, colours of flowers and foliage, the calls of birds and nosies of farm animals, the guttural g’s of Afrikaans all add to the multidimensional experience of reading Agaat. As Heyns points out in his Translator’s Note: “Agaat is a highly allusive text, permeated, at times almost subliminally, with traces of Afrikaans cultural goods: songs, children’s rhymes, children’s games, hymns, idiomatic expressions, farming lore.” The ultimate result appears effortless, mediating the boundaries where necessary but maintaining a distinct cultural experience. An interview with Heyns in Words Without Borders is an informative and entertaining exploration of the text and the translation experience that is highly recommended for interested readers. Agaat is bookended with a Prologue and Epilogue in Jakkie’s voice. It is 1996 and he is flying home from Canada because his mother is near death at the beginning and returning after the funeral at the end. He left South Africa in 1985 to escape the political conditions in his native country, and, one suspects, his parents. As I write this, I am about to fly from Canada to South Africa myself for my first ever visit. I am aware of the fraught tensions that continue to run through the country, most recently arising in the literary community. I will be carrying the many complex currents that run through this important novel with me as I leave. For all my best intentions to read the stack of books I had planned to tackle with the new year, I keep getting side lined by new releases. And I am, it would seem, still caught in a South African vortex. This time I have been swept into the hypnotic landscape of words and images that is The Alphabet of Birds by S. J. Naudé. Originally published in Afrikaans, this debut collection of short stories has just been released in the UK and America in the author’s own English translation. A fascinating communication between Naudé and fellow countryman Ivan Vladislavic posted on the Granta website drew my attention to his work and I was not disappointed by a single story in this amazing collection. Trained as a lawyer, Naudé spent many years working in New York and London before returning to South Africa to pursue a career in writing. As a result, most of the stories in The Alphabet of Birds explore the complicated existences of ex-pat South Africans who find themselves losing their footing abroad but are uncertain how to negotiate the emotional dynamics of family and the socio-economic realities of a new South Africa. 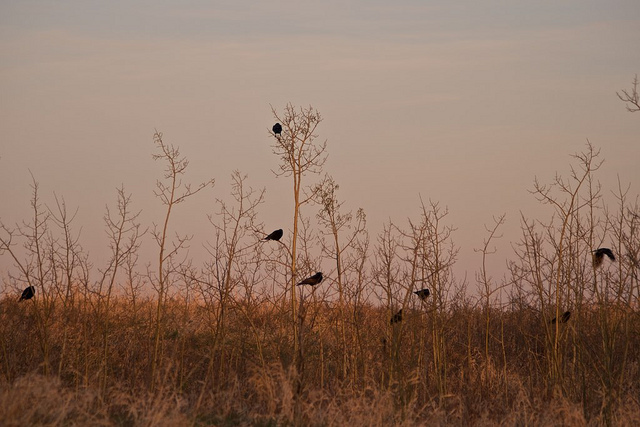 Home is increasingly elusive, fleeting attempts to find meaning fall into emptiness. In one of my favourite stories, “A Master from Germany,” the desire to escape a soulless corporate existence leads to a fantastical hedonistic adventure that turns into an achingly sad domestic vigil at a parent’s bedside. There is a profound sense of alienation that runs through all of these tales: a husband unable to rescue his wife from herself, scattered siblings across the globe, men seeking solace with male lovers who are either too elusive or too intrusive. I have been slow in coming to appreciate what can be done within the medium of the short story. In the Granta discussion Naudé explores his fascination with the processes at play in the work of W. G. Sebald and Thomas Bernhard, among others. As those two writers are a key focus for me as a critical reader this year, I was keen to see how such influences would play out in his work. In terms of possibilities for storytelling I find myself very excited by this collection. I simply did not want it to end. The themes of borderlessness and alienation that drive these tales are very human and have far reaching relevance beyond the South African experience. 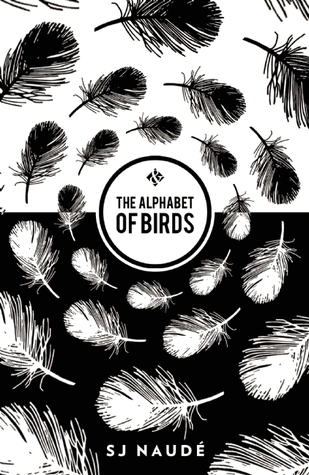 Now that it is available to an English speaking audience, thanks to the subscription funded publisher And Other Stories (I just had to subscribe too), The Alphabet of Birds will hopefully reach a wider audience. I suspect it will likely be one of my favourite reads of the year too, and it’s only January.